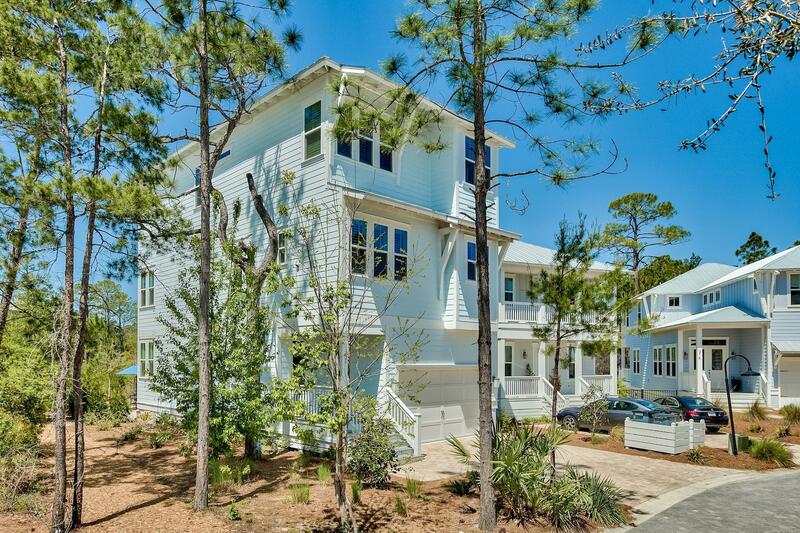 Dramatic three story beach home with elevator and three covered porches. Placed on a deep premium pond lot with endless views of the state forest. As you enter the main level your eyes will be drawn upwards to the soaring height and focal point for your favorite piece of artwork. Guests will be impressed by the hardwood flooring throughout, custom kitchen with 36'' gas range and hood as well at kitchen island and counter space with continuous granite There are three covered porches with endless scenery to enjoy your evening sunsets. Relax with your water feature on 425 square feet of pavers that leads directly to a manicured path up to the Resort Style Pool area.